CLICK HERE TO DOWNLOAD A MAP OF FRINGE AND MAIN STAGE VENUES AND PARKING OPTIONS. A musical tribute to a pioneer of early music, featuring works by three giants of the baroque harpsichord. The polyphonic motets on this program are some of the first music to include explicit, idiomatic instrumental parts. These exquisite works will be contrasted with virtuosic, Italian instrumental music. Voices, cornetto, recorder, violins, sackbuts, theorbo and organ offer a feast for the ears and soul. 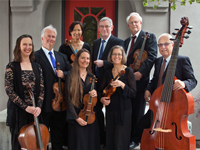 The dynamic string ensemble Archetti presents a festive extravaganza of theatrical and imaginative music highlighted by the Bay Area premier of Giovannni Antonio Guido’s remarkable Le Quattro Staggioni dell’Anno—inspired by Antonio Vivaldi’s ever-popular Four Seasons. Alongside these two virtuosi of harmony and invention will be wildly theatrical introductions by Locatelli and Zavateri, charming grotesques by François Couperin, and musical portraits of Commedia dell’Arte characters in Telemann’s entertaining Ouverture Burlesque. Davis Senior High School, located just northeast of the Bay Area in Davis, CA, established the first Baroque orchestra in a public high school in the US. They made their Berkeley Festival debut in 2014. They return to the Festival stage this year with a program of ebullient favorites: Bach’s Concerto for Two Harpsichords in C minor, BWV 1060; and Handel’s Concerto Grosso in G Major, Op. 6 No. 1. 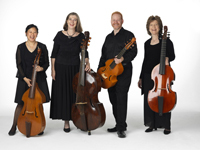 In Shakespeare’s world, viols lent their silver sound to mirth, meditation, and mourning. Parthenia explores this rich and varied repertoire from the luminous fantasies of William Byrd to the artful reworking of folk tunes, and the boisterous music of the eccentric Tobias Hume. Virtuosic and passionate chamber music from the late 17th century by students of the Juilliard Historical Performance program, led by director Robert Mealy. In the late 16th and early 17th centuries the bass register was especially favored for virtuoso singing, and some of the greatest soloists of the new expressive Baroque style were basses. Though basses were cautioned to be prudent in the use of ornaments (since their part was the “foundation of all music”) these solo pieces often defy such admonitions, indulging in exuberant passage-work while at the same time showing great subtlety of expression. At times the voice will be accompanied by a sonorous consort of trombones, and at other times by the luminous contrast of a cornetto and a violin. 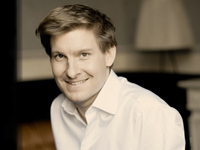 The winner of numerous honors and awards, and described as “Mozart Reincarnated,” Kristian Bezuidenhout is one of the most important keyboard artists of his generation. His West Coast debut at BFX 2014 was a revelation, both into Classical keyboard music and into the fortepiano as a means of interpreting it. Don’t miss this chance to hear him again, live. 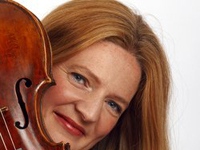 “Queen of the Baroque Violin” joins Voices of Music for an evening of dazzling concertos by Bach and Vivaldi. Highlights include Bach’s concerto for two violins, with Elizabeth Blumenstock joining Rachel, and Brandenburg concerto No. 4, using Bach’s unique instrumentation including two fiauti d’echo (“echo flutes”). 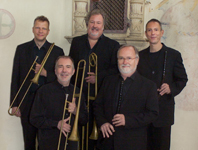 The remarkable Belgian ensemble who astonished Festival audiences in 2014 returns with a program spanning a century of music by the great Bach family—from Johann (1604–1673) to Johann Sebastian (1685–1750), whose monumental motet Jesu meine Freude concludes the program. 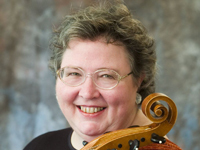 This celebration honoring a luminary of the Early Music world will include medieval, Renaissance, and baroque music that Margriet loved and played, as well as her own compositions, performed by friends and colleagues, including Letitia Berlin, Frances Blaker, Shira Kammen, Larry Lipnik, Peter Maund, Robert Mealy, Rosamund Morley, David Morris, and others. In 17th-c. Hamburg, Johann Schop and especially William Brade English transformed consort dance music, to create an elaborate personal style. 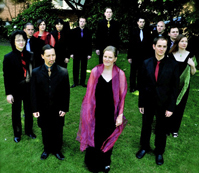 Concerto Palatino alternates their entertaining works with virtuoso ensemble music from later in the century, such as Matthias’ elaborate, fiendishly difficult sonatas for mixed string and wind ensemble, starkly contrasting with the foot-tapping Galliards and poignant Pavans of earlier composers. Shakespeare’s plays inspired English composers throughout the 17th and 18th centuries. 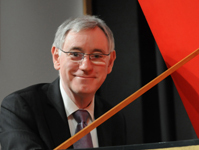 Maestro McGegan leads the combined forces of two fine ensembles in incidental music and arias from Purcell’s Fairy Queen, plus songs from the plays set by Arne, Chilcot, and Linley, and sung by soprano Sherezade Panthaki. 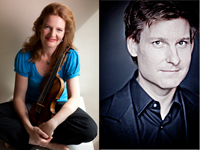 Two of the world’s great interpreters, and virtuosi, of baroque chamber music join to perform some of Bach’s most lyrical works, the sonatas for violin and obbligato harpsichord. Their program also will feature the Toccata for solo harpsichord in D minor, BWV 913, and the Sonata for solo violin No. 2 in A minor, BWV 1003. 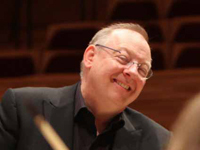 The Festival concludes with two grand sacred works from the turn of the 18th century, Henry Purcell’s Music for the funeral for the Queen Mary (1695) and George Frideric Handel’s Dixit Dominus (1707), the earliest surviving work in Handel’s autograph.